Ridge Park Dental, Dr. Grant Brough (Layton) - Book Appointment Online! 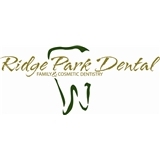 Welcome to Ridge Park Dental in Layton, UT, conveniently located about two minutes away from Hill Air Force Base. At our family and cosmetic dental office, it is our goal to make all of our patients feel welcome and comfortable in the office. Our personable and experienced dentist, Dr. Grant Brough, is always ready to start up a conversation with our patients about whatever interests them most! As a native of Davis County, Dr. Brough knows the area and his patients well. In fact, many of his patients are also his friends and neighbors! He is very professional and always gives the patient the options berfore doing the proceedure.